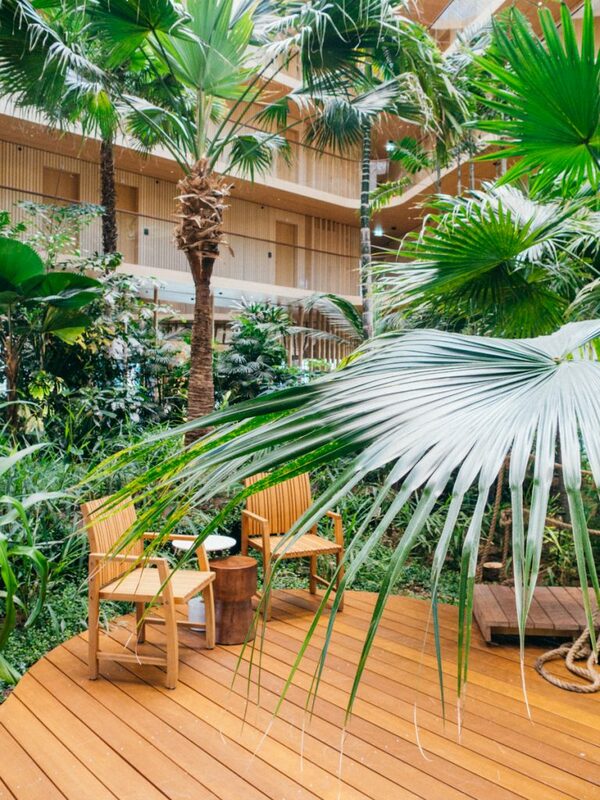 Green Amsterdam regularly gets asked for green hotel recommendations, so we decided to dive into the Amsterdam sustainable hotel world. 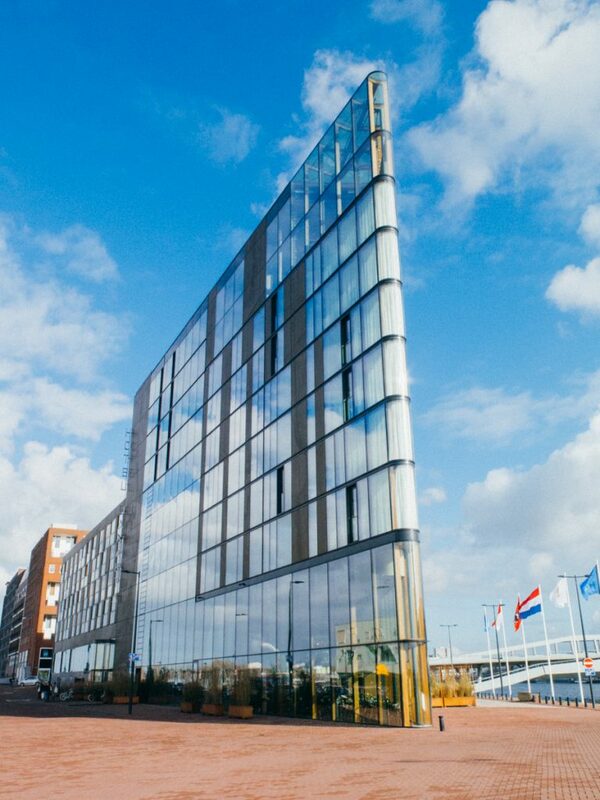 First on our list was Hotel Jakarta, declared the most sustainable hotel in The Netherlands. We had to see that for ourselves! This 4-star hotel on Java-Island opened just nine months ago and oozes luxury, in a natural way. 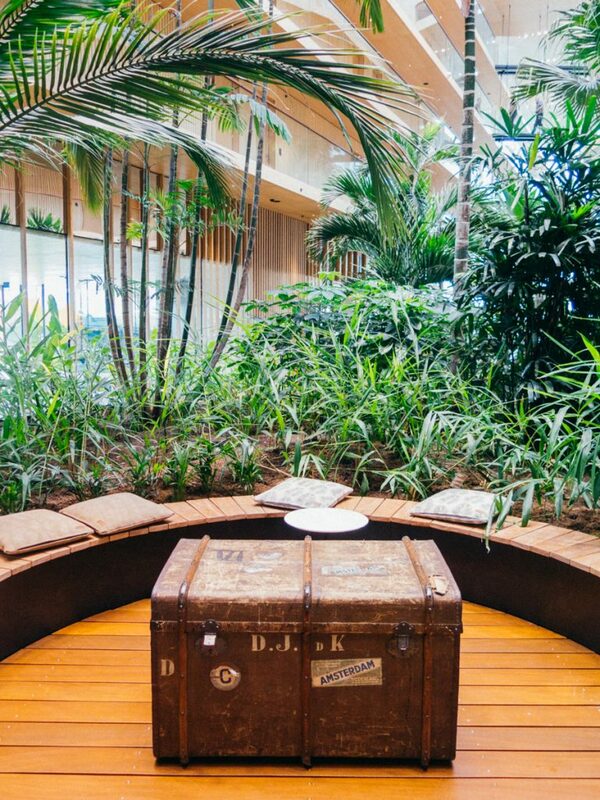 In reference to Java, the hotel is inspired by Indonesia, which you find in all kinds of details in the hotel. 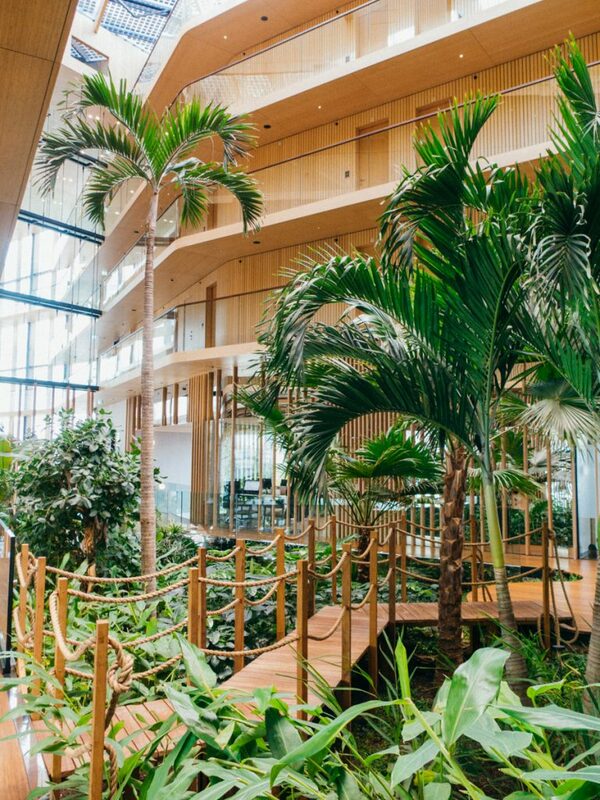 When you step inside Hotel Jakarta Amsterdam, you are welcomed by the most beautiful subtropical indoor garden, which is made in cooperation with the Hortus Botanicus. Now that’s an urban jungle! As green lovers we were immediately sold. The garden is watered with collected rain and on the roof, solar energy is saved to use as electricity and heat the showers in the hotel rooms. Also, the temperature in the whole building is regulated by a warmth and cold storage and all materials used for building the hotel are durable. In the rooms the natural character of the hotel is extended. The bamboo walls, Indonesian accents and natural tones of the interior combined with the view over the river IJ, made us instantly feel at ease. Also the super comfortable bed and bath are perfect for a relaxed stay and good night rest. The coffee cups in the room are recyclable and the bottles of water are made of recycled plastic. In the mood for a cocktail with a view? Take the elevator to the top floor and visit the Malabar. 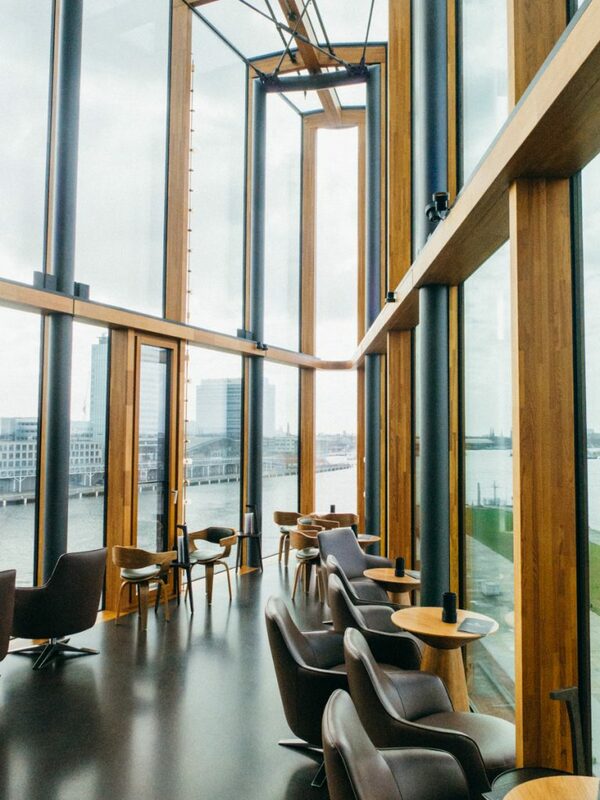 Here you can enjoy a marvellous view over the river IJ in the glass front of the building. Besides being a hotel for tourists visiting Amsterdam, Hotel Jakarta aims to be a hangout for Amsterdam locals as well. So the Malabar, subtropical garden, Cafe Jakarta, Westers Bakery, wellness, swimming pool and gym are open for everyone! It’s great to see the city of Amsterdam is enriched with such an advanced, sustainable hotspot that is welcoming to everybody. 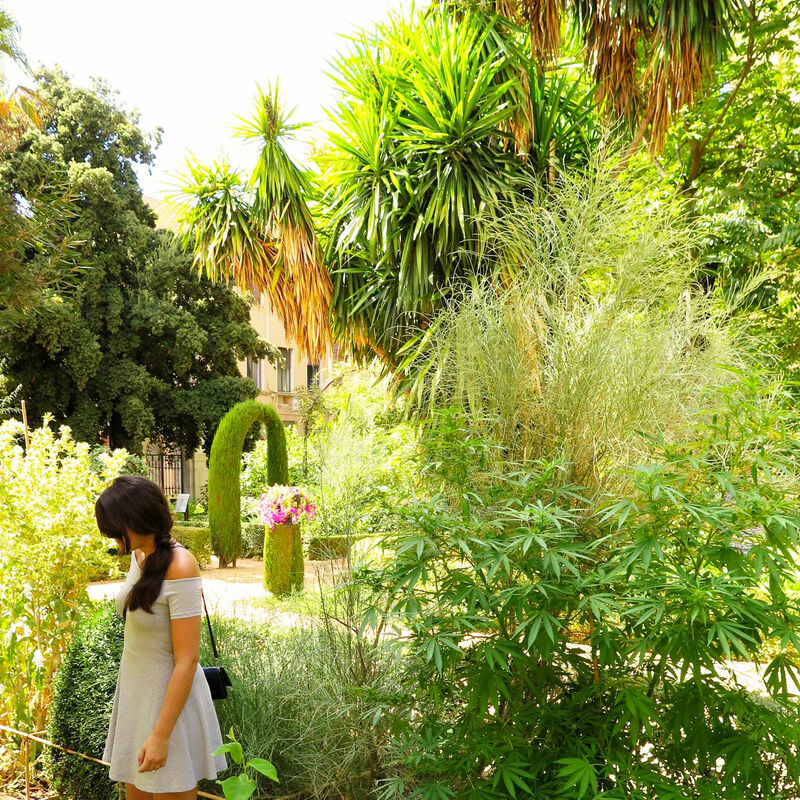 So, if you’re a green lover and you like your luxury, you should definitely go and explore this green oasis!